Gloucester have announced that Lewis Ludlow, Tom Marshall, Henry Trinder and Billy Twelvetrees have all signed new contracts with the club. 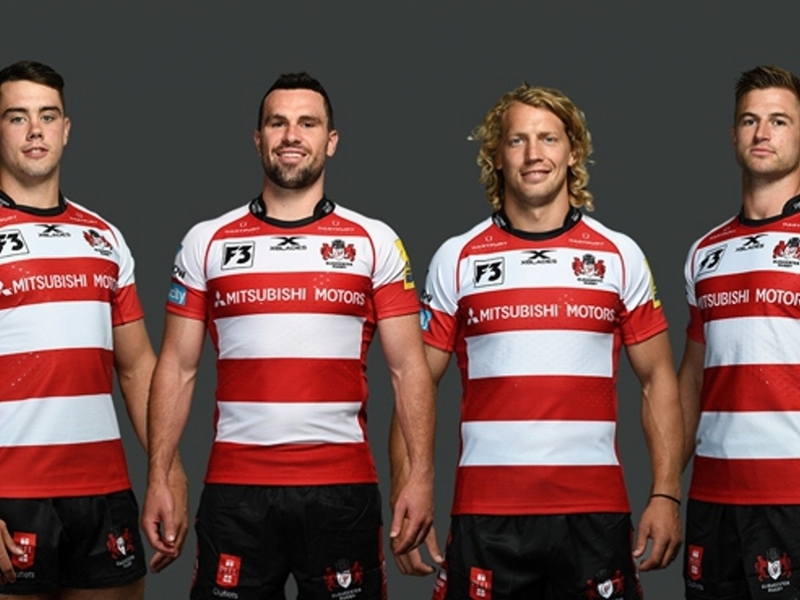 The Cherry and Whites' director of rugby David Humphreys is delighted that the quartet decided to stay on at the Kingsholm-based club. "It's always great news to be able to announce contract extensions for some of our key players," he told Gloucester's official website. "We already have a very strong squad this season and negotiations are ongoing with a number of players to ensure that we have an even better squad for the start of the 2018/19 season. "There'll be lots more good news to share over the next few weeks and months and we're all very grateful to all our fans for their continued support of the club and the players." Ludlow has signed a new contract with the club after a hugely impressive start to the season under head coach Johan Ackermann, dominating the tackle charts in the Premiership, and being involved in every league and European fixture so far. The back-row made his breakthrough into the first team in 2013 and has developed into a key member of the squad, recently reaching a half-century of appearances for the Cherry and Whites. Ludlow is pleased with how the season is going and is excited for the future. "Signing a new deal with the club was such an easy decision for me, and I'm delighted to repay the faith that David and Johan have shown in me this season," he said. "There is such a good feeling amongst the squad and, despite some tough moments this season, it's great to all be going in the right direction. "On a personal level, I've loved developing in this environment, and it's an honour to be trusted with my role in the team." Marshall, who can play at full-back, in midfield or on the wing, has missed the opening quarter of the new season through injury, but is set to return to action shortly. He said he was excited to get his season underway after securing his future at the club. "Since I arrived at the club, I've got to know the area and the boys and I'm delighted to secure my future here and be part of what we are building," he commented. "It's been frustrating for me to miss the start of the season and see the boys impressing, and I'm hugely excited to get out on the pitch and add to the team. "The way the boys are trying to play under Johan is great to see and suits me down to a tee. I'm delighted to continue my time here and play in front of the Gloucester fans." Trinder, who has spent his whole career with the Cherry and Whites and is in his tenth season at the club – racking up over 120 competitive appearances – looks set to build on that after agreeing terms on a new deal to remain at Kingsholm. The centre spoke of his delight at agreeing the new deal. "As a player that has come through the ranks at the club, I am settled here, in this city and love playing for Gloucester," said Trinder. "The club have stood by me and I'm pleased to repay this and commit my future here. "The team have shown great signs so far this season and I'm buzzing to have been part of the squad in some great moments. The conversations I've had with the club's management have been hugely positive and the direction we're heading excites me. "That said, the hard work is only just beginning and it's such an exciting prospect." Twelvetrees is a versatile centre, capable of playing at fly-half, who has represented England as well as the British and Irish Lions, and has made well over 100 appearances for the club since joining them from Leicester Tigers in 2012. An experienced member of the squad, Twelvetrees captained the team during the 2014/15 season and lifted the European Rugby Challenge Cup. He told the Gloucester website that he is excited to put pen to paper on a new deal with the club. "It's been a great start to the season and it was an easy decision for me to remain at the club," he said. "There's a lot of hard work still to do with this team, but I'm enjoying my rugby so much here and there is so much exciting stuff still to come."